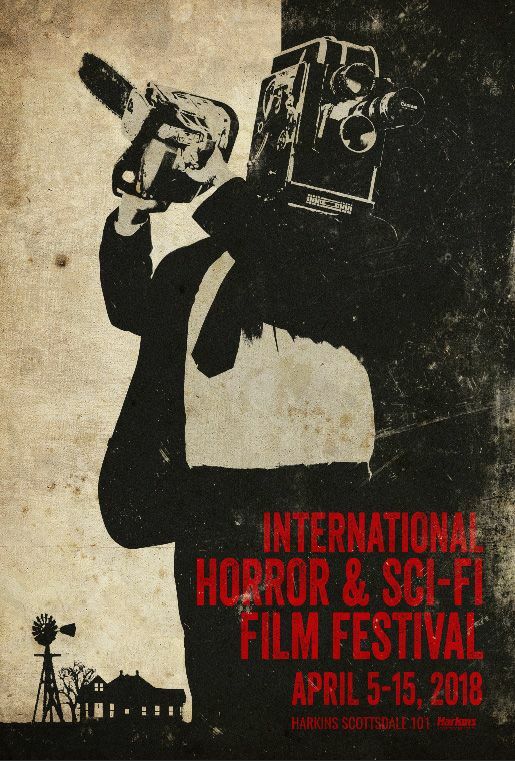 Did you know the International Horror and Sci-Fi Film Festival is in it’s 14th year? It happens in conjunction with the yearly Phoenix Film Festival with a dedicated theatre all opening weekend and screenings all week long. This year’s Festival takes place April, 5th-15th. Attendees can catch premieres of short and feature horror and sci-fi films from all over the world, along with eclectic programming of older films, special guests and cult classics. Plus, you can enjoy all the great parties and entertainment the Phoenix Film Festival is known for. Earlier this week we shared a recipe inspired by a film being shown at the International Horror and Sci-Fi Film Festival in conjunction with the Phoenix Film Festival. 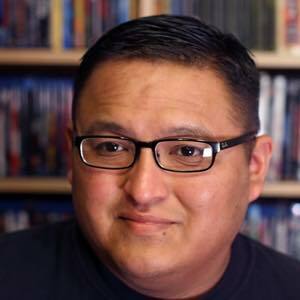 We were also given an opportunity to talk with the Festival Director, Monte Yazzie. 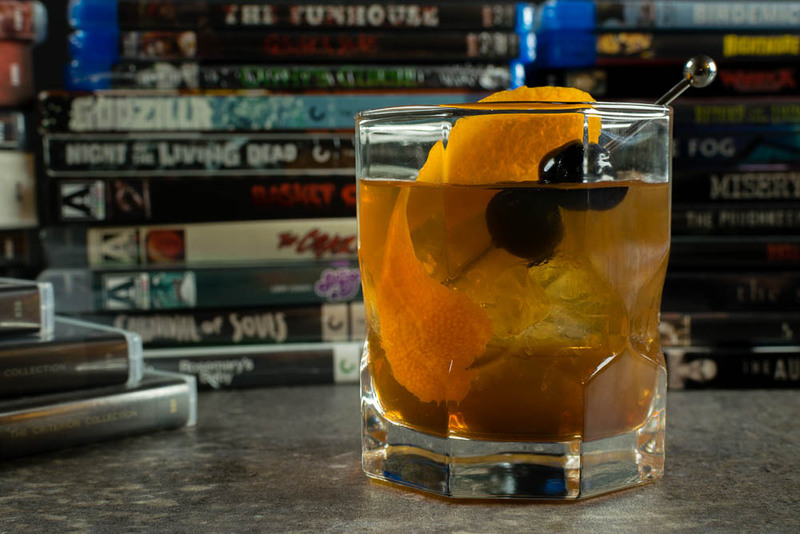 Not only does he give some great insight into the horror industry and share a few festival favorites, but he also shares a recipe for a dang good Old Fashioned. My relationship with horror began when I was pretty young. I still remember going to watch BEETLEJUICE in the theater with my mom when I was about 6 years old, but she often tells me that there were many more films before that in the theater. THE TWILIGHT ZONE and OUTER LIMITS were shows that really sparked my imagination for genre film at an early age. It blossomed into old creature features and science fictions classics like GODZILLA, THEM!, COLOSSUS OF NEW YORK, INVADERS FROM MARS. But ultimately it was my encounter with the BRIDE OF FRANKENSTEIN that was the point of no return into genre love. Obviously, you are excited about all of the horror films and shorts being presented at The International Horror and Sci Fi Film Festival, but can you tell us about 3 that have you really excited? That’s a hard thing to narrow it down to but if I had to pick three, I would say THE RANGER, IMITATION GIRL, and TO HELL AND BACK: THE KANE HODDER STORY. THE RANGER is a punk rock slasher mashup that has a killer soundtrack, some really great performances, and a director who clearly understands the genre of horror. IMITATION GIRL is such a lovely and bizarre film. Science fiction has always had the purpose of using otherworldly stories as metaphors for humanity, politics, or technology. IMITATION GIRL had an amazing lead performance from Lauren Ashley Carter and is confidently directed by Natasha Kermani. TO HELL AND BACK: THE KANE HODDER STORY is a touching and insightful look behind the mask of the man who iconically represents the character Jason Voorhees. This isn’t the straightforward kind of documentary some might expect, this is something that displays a man who is passionate about his work and cherishes the opportunity to portray a pop culture icon. I think Horror is in this really divisive place for fans right now, but I absolutely love it. Genre film should always be challenging, that’s the job of the filmmaker. Making films that are socially aware, politically charged, or in general reflective of the state of our world, good or bad, only strengthens the genre. So when a film like GET OUT comes along and challenges how genre can be used to tell a story about race and entitlement, or when a film like ANNIHILATION challenges the perspective of how we perceive the development of nature, or when a film like MOTHER! just destroys any barriers for how genre can get from point A to point B, these are the films that I love and hope will continue to influence how the genre evolves. If you could tell horror fans one thing about how to support the horror movie industry as it stands what would it be? The advancement of technology has made how we consume films so easy. We can watch movies on our phones or on streaming services to our fancy televisions. But there is something about movies inside theaters that I think is so special and necessary. Being inside a theater with other people who love what you love changes the experience of watching and perceiving film. Go to the big theaters but also make time for the smaller independent theaters, both experiences are vastly different but also necessary with some films. What major theatrical releases are you really excited for and why? I think the new version of HALLOWEEN sounds very interesting because they went outside the box of obvious choices for the writer and filmmaker. I think with a property like HALLOWEEN, which is so iconic and beloved, having someone who may not be the obvious horror movie maker choice can really bring something fresh to the idea of it all. I’m also so captivated by the trailer for HEREDITARY, A24 has put out some of my favorite genre films of the last 5 years. Now as awesome as all of this is, you may be wondering how this all ties in to Geeks Who Eat. Well, Monte loves a good Old Fashioned. Along with his friend and colleague, Jeremy Locarni, have come up with their idea of a perfect Old Fashioned. Jeremy is a composer and musician who has worked on every film that Monte has ever made. The recipe came about because after long hours on set, they would smoke cigars and drink an old fashioned. It doesn’t get much better than that in our opinion. Be sure to visit the Phoenix Film Festival and International Horror and Sci-Fi Film Festival between April, 5th-15th. For more information and a schedule of films you can visit the Phoenix Film Festival Website. Cheers and Happy Watching! Combine first four ingredients in a cocktail mixing glass filled with ice. Express orange peel into the cocktail. Rubbed the peel around the rim of the glass. Serve with 2 Luxardo cherries. *The Geeks received no compensation to facilitate this write-up; opinions are wholly our own. View our Disclosure Policy for more info.